(Newser) – Experts have predicted Apple is on the verge of challenging Netflix and Amazon in the world of original digital programming, the Washington Post reports. 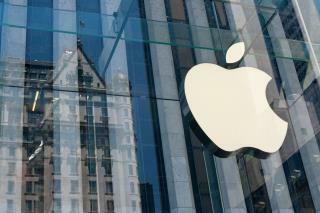 One source even tells the New York Post that Apple "has been having discussions all over Hollywood." But when the tech giant finally spilled the beans about its first original series on Thursday, it sounded more long-form ad than Jessica Jones or Transparent. According to the New York Times, Apple is producing a "nonscripted series about apps" to "spotlight the app economy." The Post is more blunt about it, stating Apple wants to use the series about app developers to increase interest in its App Store. Also, Will.i.am is involved in some way. Doesn't matter what it's about. What important is that it has a good director and script. Good ideas are like good actors, a dime a dozen. Some rise to the top, millions don't. I thought for sure it would be story of a rural teen that didn't do well on state testing, is sent to factory in city. Where you work 16 hours a day, and live there, to make the toys. Or maybe the kids in Guyana digging for iridium at 10. And I thought the movies and shows coming out lately are boring.